Spend the 13th (Sun) exploring nature at Norfolk Island National Park & Botanic Garden. The adventure continues: enjoy the sand and surf at Emily Bay, take an in-depth tour of Norfolk Island Museum, take in the pleasant sights at Puppy's Point, and steep yourself in history at Kingston and Arthur's Vale Historic Area. 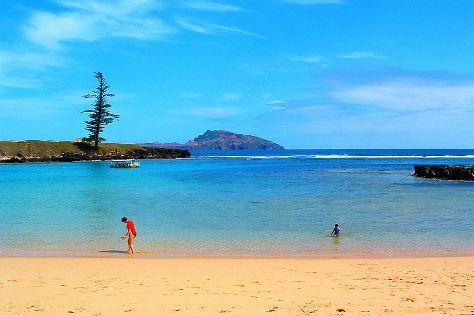 To find traveler tips, ratings, maps, and tourist information, you can read our Norfolk Island day trip website . In October, plan for daily highs up to 23°C, and evening lows to 17°C. Finish your sightseeing early on the 17th (Thu) so you can travel back home.